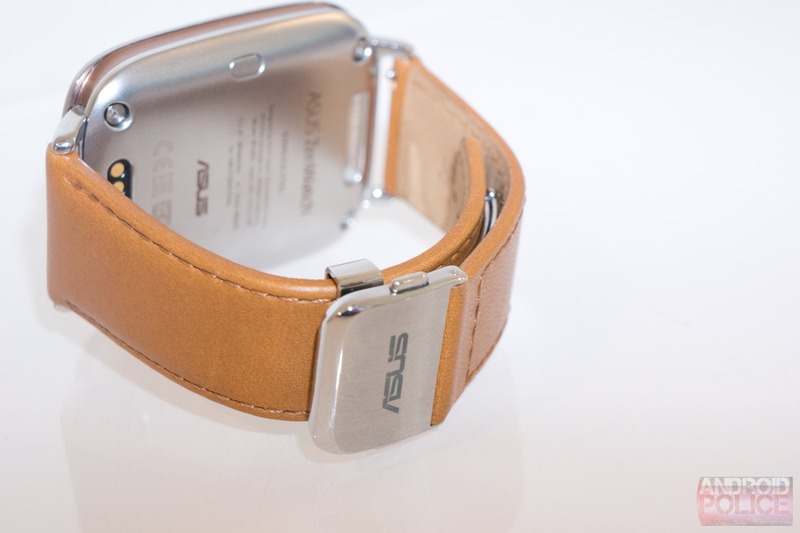 For its first foray into the nascent Android Wear platform, ASUS created the ZenWatch. It aims to be the more fashionable and appealing alternative to the other square watches from LG and Samsung, and I think it largely accomplishes that. 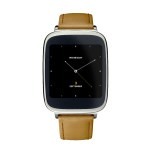 Whether you prefer a square smart watch to a round one is a matter of personal opinion, but there's little denying that ASUS has made probably the most compelling square smart watch of the current Android Wear generation. 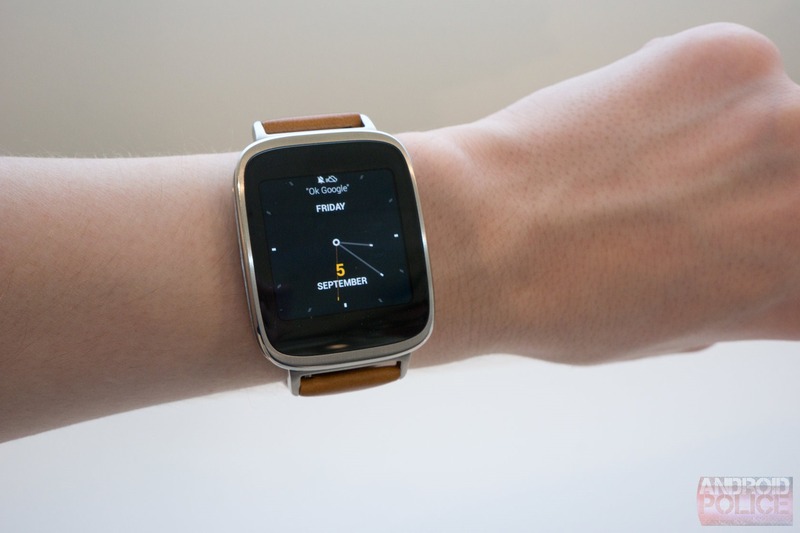 The watch has a 1.63" display at 320x320 behind curved glass, a Snapdragon 400 processor at 1.2GHz, and 512MB of RAM. There's no ambient light sensor, but there is a heart rate sensor that "measures relaxation level," according to ASUS' promotional materials. While the watch isn't small, it isn't enormous, and its clear work was put in to refine the idea of a square watch into something not terrible. 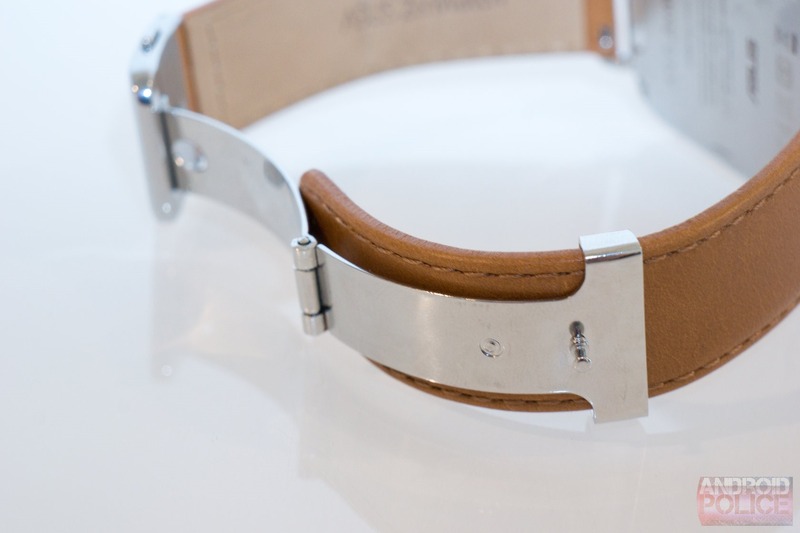 The watch's casing is metal, and around the edge is an accented band of subtle color. 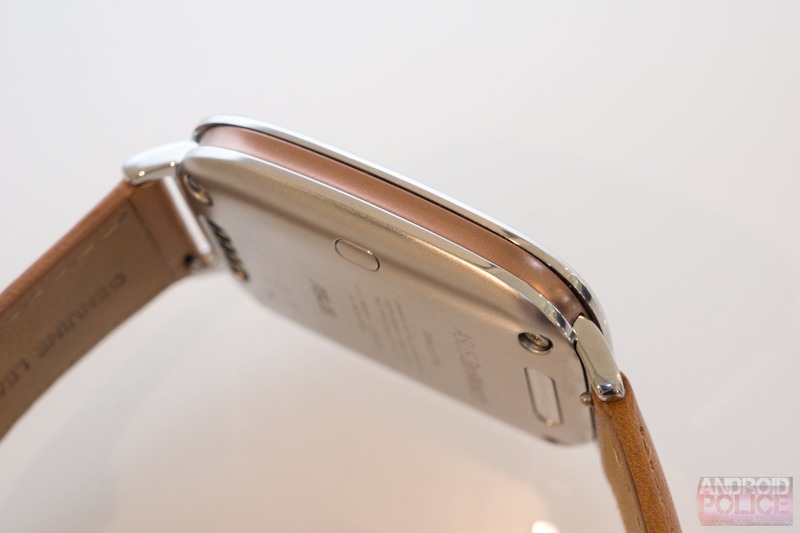 The back is smooth and unoffending, sitting comfortably on the wrist (though a little more curve here wouldn't hurt). 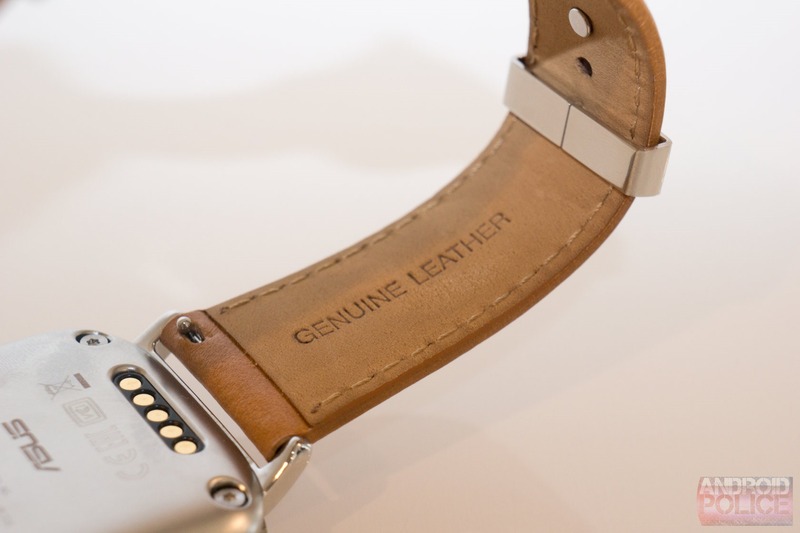 The watch comes with a tan leather strap that feels considerably more flexible and comfortable than that of the G Watch R, and looks a little nicer besides. 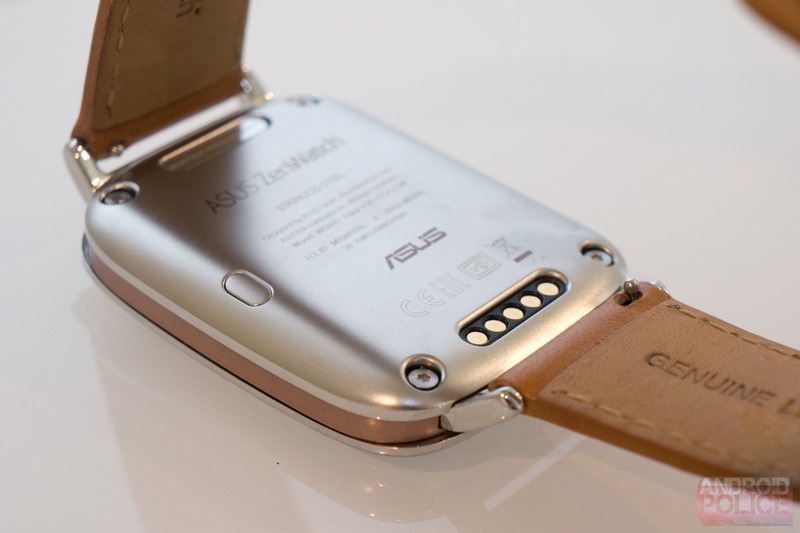 The ZenWatch also works with some of ASUS' ZenUI pieces, so if you're using an ASUS phone, you're likely to enjoy some extra treats like a way to unlock your phone by tapping the watch. Unfortunately the unit we saw had to stay in demo mode, so we weren't able to experiment with ASUS' extra touches. 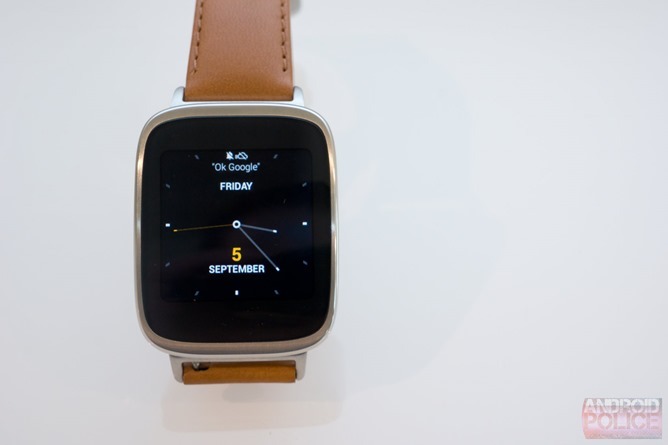 Other than that, there isn't a whole lot to say about the ZenWatch that can't be said of other Android Wear devices. Largely, Android Wear watches are competing on a few things right now: battery life, doodads (heart rate, ambient light sensor, and GPS), and most critically - form factor. The operating system itself performs the same tasks on every device save for custom manufacturer watch faces or apps and sensor-specific functionality. So really it's all about what looks better to you and what ends up having a decent battery life. 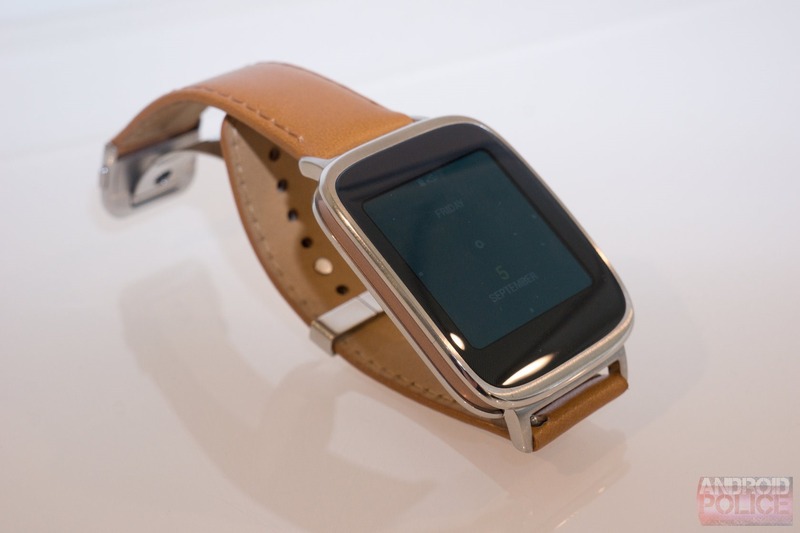 That said, the ZenWatch is a great effort by ASUS, and - in this writer's opinion - the best square Android Wear watch yet.